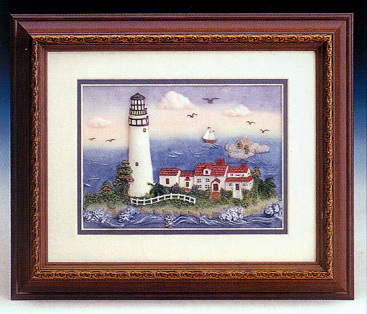 This beautiful Lighthouse Framed Art will bring a unique and artistic addition to your home or office. Handcrafted with the finest details and materials, this piece of exquisite artwork will bring a lifetime of enjoyment. It is finished and detailed to produce an art treasure, a popular choice for gift giving to parents, a teacher, or a mentor. 10 inches H. x 12 inches W.